Usage For conference room ,work station etc. -2 , RJ45, RJ11, VGA, AUDIO, HDMI Port in Pop up Box Colour Silver Easy To install Easlly Movable Non Motorised Used For Conference Table. 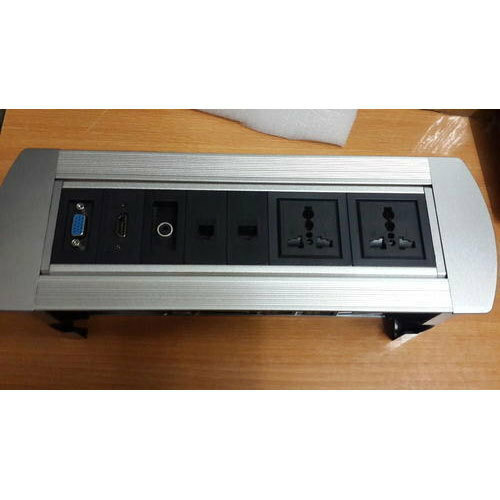 POWER*2 , RJ45, RJ11, VGA,AUDIO, HDMI Port in Pop up Box Colour Silver Easy To install Easlly Movable Non Motorised Used For Conference Table.